Members present: Sue Baer, Ellen Berry, Teri Einfeldt, chair, Mark George, Marilyn Kesler, Ruth Engle Larner, Marilyn O’Boyle, Carol Ourada, Betsy Stuen-Walker, and Pam Brasch, ex officio. The meeting was called to order at 8:47 a.m. by Teri Einfeldt, chair. Welcome to new members, Sue Baer, Ellen Berry, and Marilyn O’Boyle. Opened with a team building activity. Motion #1: To accept the April 2009 minutes as amended. Teri presented a CD committee report. The CDs will be ready for this year’s Annual Fund Campaign. Teri then led a discussion of the Campaign. Marilyn K. will write the appeal letter. The Board will make contacts to strengthen our base of support. Pam reported on the International Teacher Trainers Conference, scheduled for Oct. 8-11, 2009, in the Boston area. About 150 were expected. Teri made Board Committee assignments. Motion #2: To add Board Education Committee to Policy 4:9 #6. Product: Education of incoming and returning board members on a yearly basis, including, but not limited to, Carver Governance. Motion #2 was subsequently tabled. After lunch the Board was treated to a presentation of Bach d minor Suite, Allemande, by cellist, Andrea Yun. Teri gave a brief review of the SPA course. She went on to explain the history of SPA (Suzuki Principles in Action) and its development as an outgrowth of the Practicum course. Motion #3: To acknowledge that the Board has received and read the Monitoring Reports. A discussion of the Ends and Monitoring Reports followed, referring to 1.1. In response to 1.3 a discussion followed about archives and preserving the philosophy and history of the Method. Ruth would be interested in serving on an Archives committee after she is off the board. The Board was treated to a lovely performance presented by 2 viola students of Anne Kearney-Looman. In response to the report that contributions didn’t meet budget, Teri reminded the Board that fund-raising is the Board’s responsibility. Membership campaign–members can now renew online. We need to recruit those whose memberships lapsed. Pam presented a 2010 Conference Update. Oct. 15th audition deadline for most events. The board discussed the auction and how to make it better—considered online bidding, with conference participants having the last bid. Carol presented a report on Creating Learning Community Awards. We need to begin to think about nominations. 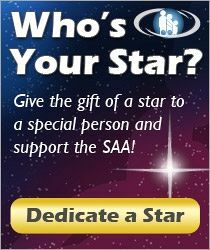 Nominations may be submitted until Dec. 31, 2011. We need three letters of recommendation, a contact person and photos. Pam presented information about the early childhood study David Gerry is doing with infants as part of his doctorate at McMasters University in Canada. Motion #4: To adjourn for the evening. Meeting was adjourned at 5:00 p.m.
Meeting called to order at 8:37 a.m. by Teri Einfeldt, chair. The board received a comprehensive review of policy governance by Carver consultant Caroline Oliver. Motion #5: To adjourn for the evening. Saturday meeting adjourned at 5:50 p.m.
Board reconvened at 8:38 a.m. with Teri Einfeldt presiding. Nominating Committee – Mark requested the Board members submit names, with especial emphasis on prospects under age 40. Asked Pam to put out a “call” for nominations to the Board on the website. They need to make a statement about their beliefs and interests, a letter of recommendation and a resume. He recommended a mid-October deadline for submissions. A minimum of one new Board member will need to be elected. He asked the Board to send suggestions via email. He also requested an additional member be added to the committee. Ellen and Ruth agreed to assist as needed. BUCKET for January: Policy for Asset Protection, John Kendall Fund. Suggested we look at 2.1, 2.10 and 4.1, 4.2 and to simplify 4.3. Nominations for CLC award, nominations for Board membership letters for Annual Fund Drive, Marilyn K. to write letter for distribution, “Ask the Experts” assignments to be completed and materials sent to Pam. Ends Policy 1.0 was discussed, and proofing followed. Motion #6 a Motion was made to adopt Policy 1.0 as revised. Next meeting will be held in Boulder, Colorado beginning 4pm on Thursday, January 7th, and ending the 9th by 4pm. There is a chance that SPA may be offered Sunday and Monday. April meeting will be held Friday 9th – Sunday 11th at noon. Caroline Oliver resumed her presentation of Carver Governance, suggesting some tools the Board might consider for organizing its annual calendar, agendas and meetings. Motion #7: A motion was made to adjourn the meeting. Meeting was adjourned at 11:30 a.m. by Teri Einfeldt, chair.